Used as inspiration for William Faulkner, the Bailey's Woods Trail connects the University Museum at the University of Mississippi to Rowan Oak, William Faulkner's residence. The nature trail is approximately 3/5 mile in length, and takes an average of 20 minutes one-way on foot. Bicycles and motorized vehicles are not allowed on the trail. 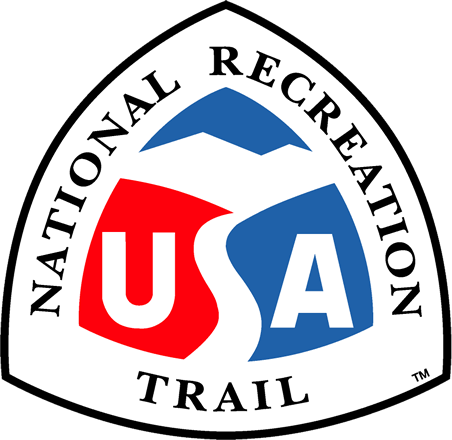 The trail is opened from dawn to dusk, with no seasonal closings, or visiting fees. From Mississippi Highway 6 take the Taylor Road exit and head north towards the University. Take the first right onto Old Taylor Road and follow till the road takes a hard right bend. There, turn left to parking for Rowan Oak and trail. At the end of the parking area is the beginning of the south end of Bailey's Woods Trail. There are about 10 parking spaces available there. To access the north end from Mississippi Highway 6 take the Taylor Road exit and head north towards the University. At University Ave, turn right and go to Fifth Street and turn right into the parking lot of the Museum. At the end of the parking lot is the north trail entrance. There are about 37 parking spaces and three handicap spaces available there. The people of Oxford and visitors enjoy using the trail to geocache, walk or run, exercise with their pets, and observe the fall foliage. The University Museum currently participates with Michelle Obama's health initiative, Let's Move: Museums and Gardens. 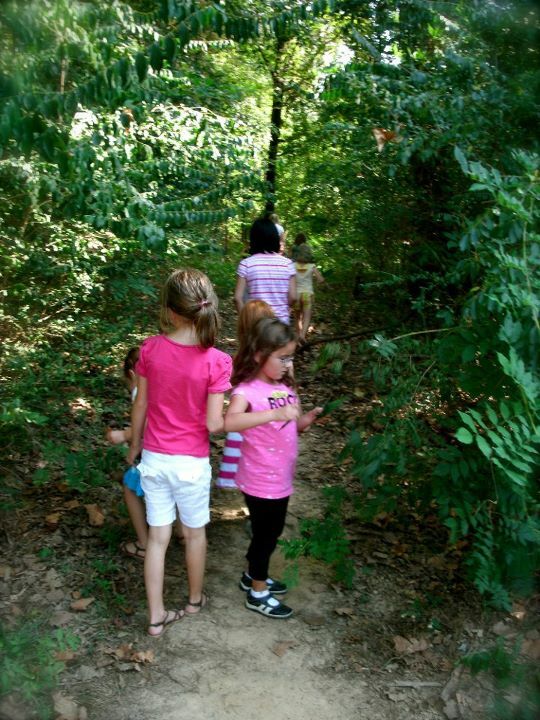 The Museum and Rowan Oak partners with northern Mississippi and southwestern Tennessee schools to provide walking tours, leading from Rowan Oak through the Bailey's Woods Trail to the Museum. Then the school group picnics on the grounds of the Walton-Young House and afterwards, tours the University of Mississippi's campus. At the University Museum, the afterschool art programs and summer day camp spend time on the Bailey's Woods Trail, picking up leaves for leaf rubbings or taking pictures of the trail. Several Botany and Biology classes at the University of Mississippi use the trail for field studies and surveys. The Art Department has used the trail for art installation and art inspiration. 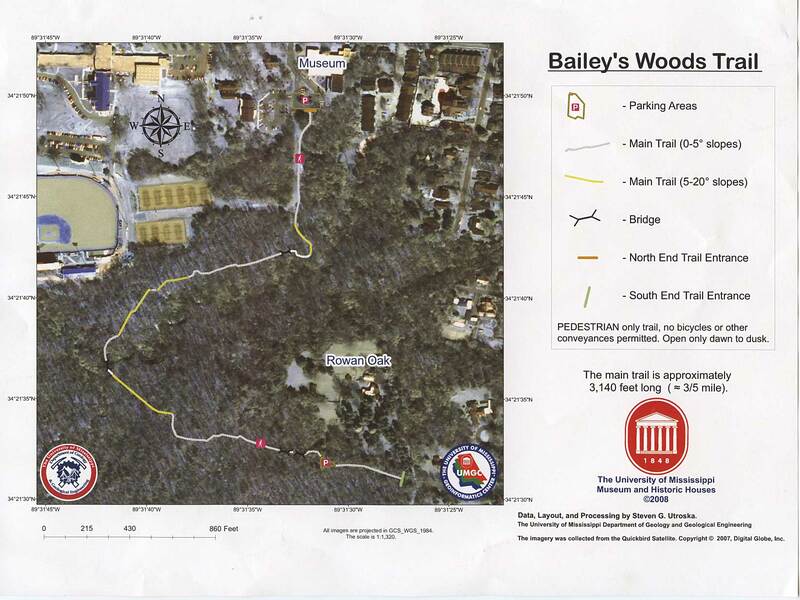 Map: An additional map of Bailey's Woods Trail. Children from the Museum's after school art program. Bailey's Woods Trail in the Fall.